Nick was born and raised in Escondido, California. He received his B.A. in History and Political Science from UCLA 2003 and a J.D. from Columbia Law School in 2007. He completed his M.Div. at Talbot Theological Seminary in 2016. After graduating from law school, he worked as an attorney for several years in San Diego in the areas of business and real estate litigation. Nick grew up attending church, but was not a follower of Christ until age 28, when he encountered God’s grace and surrendered his life to Jesus. Nick is very blessed to be married to his wife Christine, who completed her M.Div. at Regent Seminary in Vancouver, and still agreed to marry him despite telling her on their first date that he was leaving the practice of law to pursue his calling to ministry. (She was a year from completing her degree at the time and had initially been attracted to the thought of finally socializing with someone outside of her seminary/church bubble.) Nick and Christine enjoy reading, hiking, history, cooking, and discussing theology and ministry together. They have two young sons, Jedidiah and Christopher. Before being called to Greenback First Presbyterian Church as the Senior Pastor, Nick served as the Pastoral Intern, College Minister, and Interim High School Director at Mission Hills Church in San Marcos, California. Nick and Christine are honored to serve in and call Greenback home. Chad Lane grew up in Boca Raton, Florida. 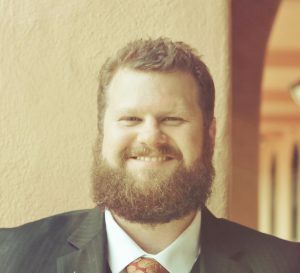 It wasn’t until high school that Chad started attending church due to being a skeptic, but he encountered genuine loving people in the youth ministry from First Christian Church of Boca Raton and accepted Jesus Christ as his Savior one night at Gold Coast Christian Camp the summer before his Junior year. After accepting Christ, Chad committed his life to ministry and enrolled in Johnson University in the Youth Ministry program. He graduated from Johnson with a Bachelor of Science degree in Youth Ministry. His ministry experience includes: 5 years as the Youth and Children’s Minister for the Christian Church of Loudon County in Lenoir City, TN; 2 years as the Youth Intern for Seymour Heights Christian Church in Seymour, TN; 1 summer as Camp Staff & Dean for Rainbow Christian Camp in Converse, IN; and since 2012, currently serves as a Young Life Leader for Loudon County, TN. Chad met his beautiful wife, Jessica Counts, while ministering together as Young Life leaders in Loudon County. They have been married since 2013 and have two wonderful children: Levi and Evie. 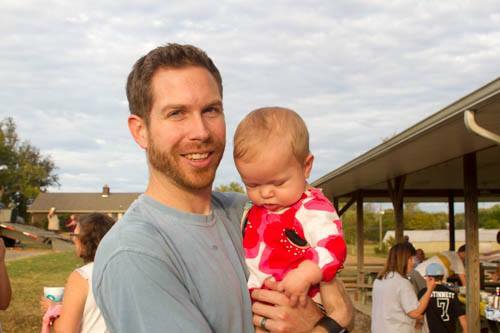 In 2014, Chad accepted the position of Youth and Children’s Minister at Greenback First Presbyterian Church. He is currently studying online for his Master’s degree at Covenant Theological Seminary.